Some people define a vacation as a chance to get away from the city, to relax with a stunning view in total privacy. Other people want to have fun adventures exploring the outdoors in a way that they can’t during the workweek. Still, others want to have a ball, getting in plenty of exciting entertainment and fine dining to break up the monotony. When you are planning your next vacation, why compromise on what you all want to do? 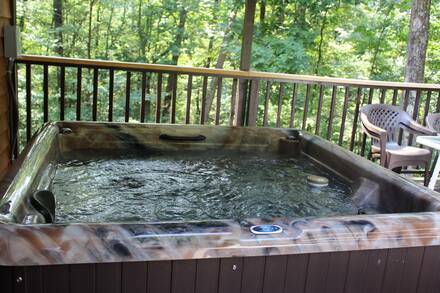 Our cabins in the Smoky Mountains offer easy access to all these things and more! If outdoor adventure is what you are after, then you are in the right place! Nearby our secluded cabin rentals, you’ll find access to the Great Smoky Mountains National Park. This half-million-acre park is one of the largest protected wildlife areas in the world and is home to tons of great hiking and more! Find beautiful waterfalls, unique rock structures, caverns, and more. You can zipline through the trees, take guided tours on horseback, go on a self-guided scavenger hunt, or find great fishing and more in the park. Perfect for visitors who’ve brought their pets with them! If you are visiting Pigeon Forge for the first time, you can’t miss a trip to Dollywood. This western-themed amusement park is a celebration of the family-focused fun offered all over the area. You’ll find more than 40 rides, dinner theater, live music shows, and even cowboy reenactments in the streets as you walk around the park. Be sure to ride the Dollywood train! The best way into the amusement park is to ride the sky lift up the mountainside! With the Aquarium, Ripley’s Believe it or Not, the Haunted Adventure, the Moving Theater, and Ripley’s Mini Golf Courses, there are plenty of ways for lovers of the wacky and amazing to have a blast in both Pigeon Forge and Gatlinburg. These are awesome attractions for kids of all ages, but especially older kids and tweens who really appreciate the bizarre. All are located nearby many other attractions, so you can easily make an entire day out of touring these fun sights around Pigeon Forge. One of the most fun things to check out in the Gatlinburg area is the Gatlinburg Mountain Coaster! This attraction is open rain or shine, and even stays open after dark! The unique silent track allows you to race through the mountainside without disturbing the wildlife, and you can control the speed of your car for either an adrenaline-pumping race or a leisurely ride. Ober Gatlinburg is the area hotspot for skiing, where you can ride the aerial tramway, hit the slopes, and have fun in the snow all year long! Other fun attractions include the Gatlinburg trolley and the Space Needle! Both Gatlinburg and Pigeon Forge are known for fine dining, but if you want the true Smoky Mountains experience, you have to check out the many dinner shows in the area. In Pigeon Forge, the famous Dixie Stampede is always a fun night. Watch trick riders jump horses through flaming hoops; cheer on your “side” in a light-hearted reenactment of North vs. South, and enjoy a great meal while you watch. Pigeon Forge also hosts the Murder Mystery Theater dinner show, and many other great dining options. The Ole Smoky Brewery is another must-see for lovers of craft brews and moonshine, and anyone visiting in the autumn should swing through Sevierville to visit the Apple Barn and Cider Mill. If you want to do some shopping during your stay, there are many great options in Gatlinburg and the surrounding areas. 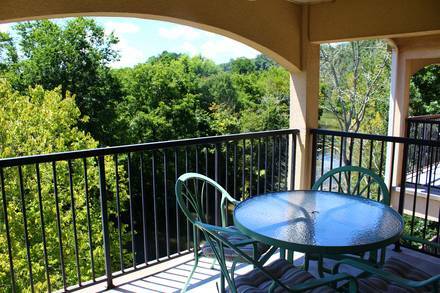 If your luxury cabin rental is in Sevierville, you’ll want to check out the Tanger Outlets. In Gatlinburg, look for “The Village” and the Arts & Crafts Community. Both offer unique shopping that you can’t find anywhere else in the Smokies. You can also find many antique stores and flea markets around the cities, perfect for browsing. If you are in Gatlinburg for the summer, don’t miss the Farmer’s Market on the covered bridge at The Glades every Saturday. This fun shopping excursion includes live music and fun educational activities for the kids. 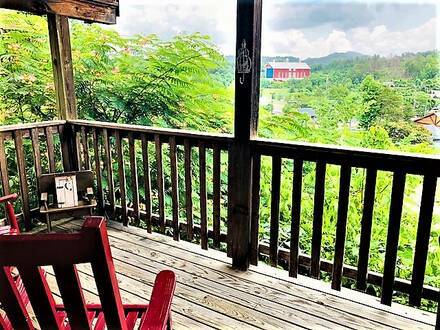 With so much to do in the Pigeon Forge and Gatlinburg areas, you need a home base where you can retreat when you’ve had your fill of excitement. Choosing the right cabin can turn your vacation into a true getaway. Are you bringing the whole family and more? Check out our large cabins, like the Wilderness Lodge (sleeps 30!). Everyone can hang out in the game room, gather in front of one of the several big screen TVs, or relax in the private outdoor hot tub. Is it just you and your significant other? 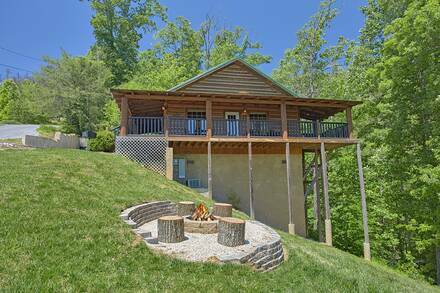 Romantic cabins in the Smokies, such as the Sugar Plum, are the perfect place to rekindle the romance and relax. The view of the mountains in the distance will make you forget all your worries as you soak in the hot tub, take a dip in the Jacuzzi, or enjoy the fireplace in the winter! All cabins include a fully equipped kitchen – bring your own food, and you’ll have everything you need to cook your favorite meals. After a day of exploring the nearby fun, you can retreat to your cabin and sleep in, knowing you can enjoy a leisurely breakfast at your own pace in the morning. We also have cabins for families of all sizes, as well as pet-friendly cabins! Even your furry family members are welcome to discover the many exciting ways that Gatlinburg and Pigeon Forge can be explored. Once you’ve found the cabin you love, booking a stay is easy! Simply scroll down to the calendar, choose the dates of your stay, and reserve your spot today.